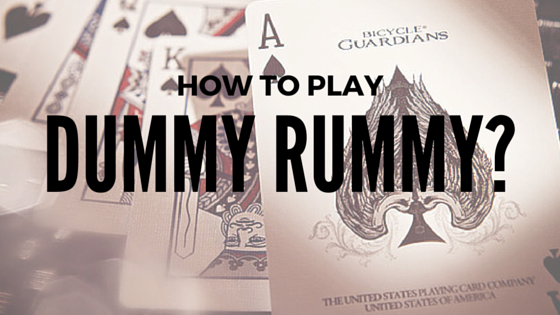 How to Play Dummy Rummy? Dummy Rummy, a game similar to Contract Rummy is a simple yet interesting variation of rummy. It is best to play with 2 or 4 players. The game was originated in United States and is famous in some regions of Europe too. The game uses two standard decks of cards i.e. 108 cards. The number Two in any series are used as wildcards along with Joker cards. The objective of the Dummy Rummy card game is to discard as many cards as possible by making sets and sequences. The player with no cards in hand will win the game with 0 points and the opponents will get a penalty of points of all the cards in his hand. In order to make sets and sequences, you can use jokers and wildcards too. But if you fail to make any legal melds, these wildcards and jokers can cause you the highest penalty. There are 12 hands in Dummy Rummy and player with least points wins the game. Each card from 3 to 9 will give you a penalty of 5 points. Each card from 10 to K will give you a penalty of 10 points. Each Wildcard or Joker will cost you 50 points. So, when you are playing Dummy Rummy it is advisable to get rid of wildcards or Jokers as soon as possible by adding them in sets or sequences which will reduce your penalties if you happen to lose the game.